This is a patch for Just Trains Common Library track to use the Armstrong Powerhouse Track Enhancement Pack. (Also includes Optional Replacement Signal Lens Textures). This now also includes a patch for the SECML route to use the patched CL track. Note: Please make sure that the track selection is set to 2D and NOT 3D. Update 1: updated terrain textures to use ballast textures from Track EP (Only for KofL, CML, NtoE & WM routes – WM already uses the CL terrain textures). Update 2: Fixed missing textures. Update 3: Added Optional Replacement CL (Common Library) Signal Lens Textures (With Backups of Original Textures). Update 4: Retextured LUL 4th Rail track to match AP track. Update 4.1: Fixed LUL crossovers. Update 5: Added patch for SECML. Update 6: Fixed Missing Winter textures. Update 7: Patched track used by CORML (Cornish Mainline). Just a regular guy from Grimsby, that makes content for TS and proprietor of Fuller Simulation. As already mentioned, using the AP weather pack in heavy snow on JT’s South Western Expressways there are missing textures beside/below the track. Discovered during my live stream. Prior to this patch the textures were fine. Apart from that, a good patch. Found a problem with Just Trains Southwest Express route. If you use Heavy snow for the scenario, when running the scenario it shows missing textures, the yellow and black, by the line. I know a couple of people have found this problem. Otherwise a great pack, thank you. Is the track fix also included in WCMLS 5.1 does anyone know? if you this: ‘AP Track patch from WCML South V5 (for JT Wood track to function)’ then yes mate. Thanks for putting this together. I’ve noticed that there are a number of places along the Tay Coast Line on the ECMLS where the patch hasn’t been applied. Also, has anyone found the amount to raise the track by to stop the ballast showing through, please? I use 6cm (0.06 in RWTools) which does the trick, at least for for WCMLv5. It’s easy to do and doesn’t take long. Brilliant. Thanks Alex. Do you lower the trackside objects at all? No, I leave the trackside objects at default height. This helps to prevent the appearance of “floating” AWS ramps etc. Great patch, only issue I’ve found is a number of sidings and yard entrance lines etc have now vanished. Anyone else experienced this? 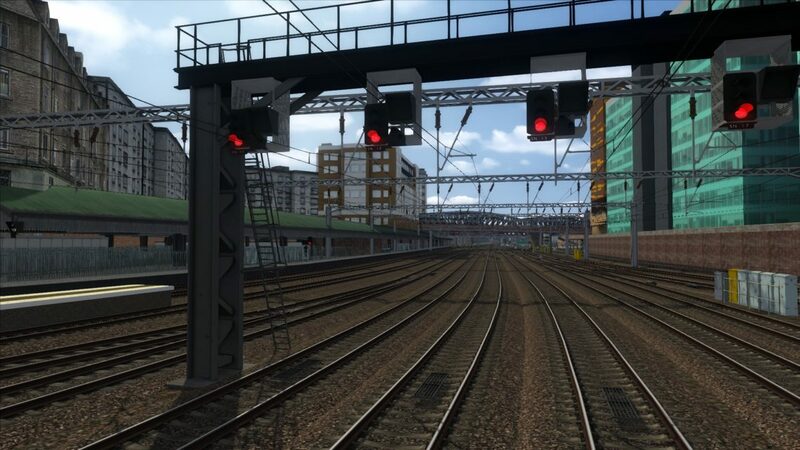 The fix is to download the Track Patch included with the WCML South V5 route on UKTS. Many thanks – great advice!